Cleveland Browns fans will have to wait even longer for that free beer. CLEVELAND -- Still locked. Still thirsty. 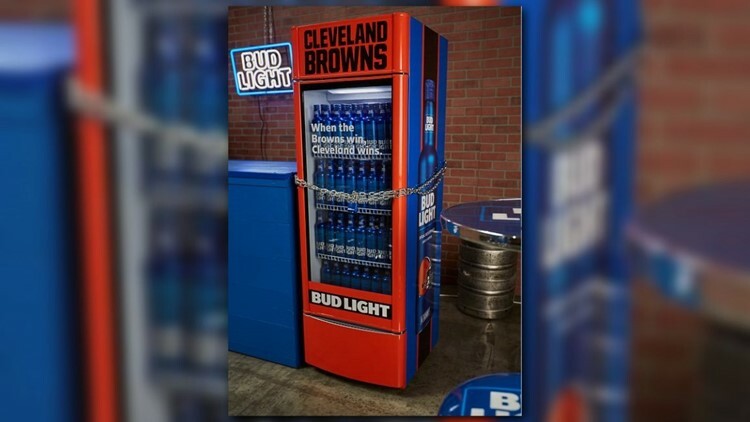 The Bud Light “Victory Fridges” remain locked after the Cleveland Browns lost to the New Orleans Saints 18-21 on Sunday afternoon. The 'Victory Fridges', holding 200 cans of free beer, were installed throughout the Cleveland area and will unlock via WiFi following the Browns' first regular-season win in 2018. Last week, the Browns ended in a tie with the Pittsburgh Steelers. Since it wasn't a win, the fridges remained closed. There’s always game three… That battle takes place Thursday, Sept. 20 against the Jets.